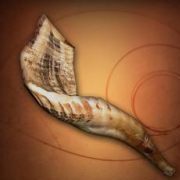 Leviticus 23:34 …“The fifteenth day of this seventh month shall be the Feast of Tabernacles for seven days to the LORD. … 36 …On the eighth day you shall have a holy miqraw/convocation… It is an atzereth/solemn assembly… 39 …a shabbathōn/special sabbath. Early Church leaders such as Barnabus, Irenaeus, and Hippolytus, undoubtedly influenced by an earlier Hebraic tradition, taught that this world will exist for 7000 years. The last 1000 years – “the Millennium” of Revelation 20 – will constitute this worldʼs sabbath-rest: the Messianic Kingdom Age of peace. Cf. Heb. 4:4-9; 2 Pet. 3:8; Ps. 90:4. 2 Peter 3:13 …new heavens and a new earth in which righteousness dwells. Isaiah 65:17 …And the former [heavens and earth] shall not be remembered [or, commemorated], and not ascend upon/over the heart. When God originally “laid the foundations of the earth…the morning stars sang together, and all the sons of God shouted for joy.” Job 38:4, 7 When God “create…a new earth… Jerusalem [shall be] a rejoicing, and her people a joy.” Is. 65:17-18 That latter celebration is represented by the Feast of the Eighth Day. Revelation 21:22 …[there will be] no naos/sanctuary in it [the New Jerusalem], for the Lord God Almighty and the Lamb are its sanctuary. Thus there is no need for any Scriptural information about the Eighth Day Feast other than its date. This series of articles was able to provide merely a glimpse of the unitary nature of Creation in all of its levels and forms; all of which developed “in the beginning” out of the One Divine Word/One Divine Man. In each of these levels/worlds – light, spirit, soul, and flesh – the Divine Man has His Presence, taking form as Man according to the type of garment of that world. As also do the angelic sons of God in the garments of their worlds. And as will do the redeemed and made-righteous Adamic sons of God, after they have completed their discipleship in the Way of Salvation. God commanded that Way to be represented in type by the Tabernacle and Court, and by His appointed Holy Days associated with them. THE STRIKE THROUGHS ARE A GLITCH OF THIS SYSTEM, WHICH I AM UNABLE TO REMOVE.